If you are opening a new restaurant or looking to replace your existing restaurant in Boston, choose the area wisely. Because choosing the right location is not an easy job, you’ll need to do extensive research on the competition, demographics, restaurant size, visibility, and more. You can work with a real estate agent who has expertise in restaurant real estate. 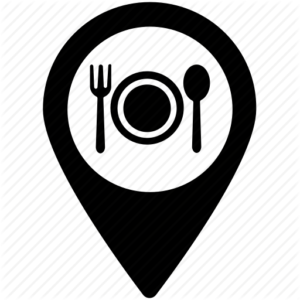 Your agent will find the perfect site for your restaurant. When opening a restaurant Boston, get to know more about the facilities and atmosphere other restaurants are providing, and get an idea of how you want to go over and beyond for your customers. Remember, your focus should be on what the space can become rather than focusing on what it looks like now. Always hire an experienced restaurant contractor to make your restaurant a place where everyone loves to visit. Don’t overlook the installation of IT facilities in your restaurant. In this modern era, people need access to all kinds of AV, the internet, Acoustical Remediation, and networking facilities almost everywhere. Be sure to make your restaurant a place where your customers want to visit again and again. If you have an established restaurant, I would strongly recommend investing in a POS System. Cash registers can track your sales, but Restaurant POS Boston systems allow you to track menu items and sales, and helps with reservations. These systems also act as a time clock for your staff. A POS system is worth using in your restaurant. You most likely have a clear vision for your restaurant. Your restaurant requires a clear restaurant concept or theme, which will make your restaurant different from the others. Consider the following: Is your restaurant going to be a fine dining or quick service establishment? What differentiates you from other restaurants in the area? Try hard to do everything you can to make your restaurant stand out from the rest. Make your Restaurant computer tech-savvy with Little Gecko Tech. 5. What’s Your Business Plan? Is It Clear? If you have polished your restaurant concept, you’re ready to develop a business plan. Don’t make a mistake like other restaurant owners by not creating a clear business plan in the earlier phases, which leads to many hurdles along the way. 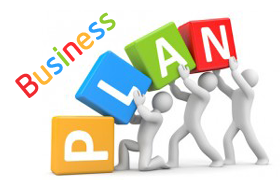 A business plan helps to keep you informed about your license, construction, legal concerns, etc. Nothing is overlooked with a business plan and it also acts as a road map. Always draft a clear restaurant business plan that will act as a blueprint of your vision for the restaurant. Plan something to Improve Restaurant Service To Keep Visitors Coming Back for a successful restaurant establishment.